Ideal for researchers in both academic and corporate settings, the CRC Handbook of Chemistry and Physics Enhanced Web Version has several interactive tools and features and is designed to help users access trusted chemical and physical data in a seamless manner. Spanning the breadth of chemistry this database provides access to chemical, physical and structural data on more than 630,000 compounds. The presence of powerful search software allows sophisticated text and structure searches to be performed easily. 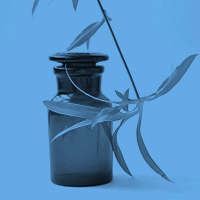 ​DOC has built a world-wide reputation as an indispensable reference work over its seventy years of publication. This carefully edited database contains over 106,000 entries comprising more than 314,000 organic compounds. Two highly respected titles, the Dictionary of Inorganic Compounds and the Dictionary of Organometallic Compounds have been brought together into this single, structure-searchable database of over 107,000 compounds. 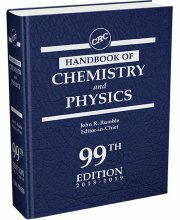 A collection of reference works for chemistry, including: Combined Chemical Dictionary (CCD), Dictionary of Commonly Cited Compounds, Dictionary of Drugs, and Dictionary of Inorganic and Organometallic Compounds. A standard reference offering facts, data, tabular material, and experimental findings in every area of chemistry. Provides coverage of all aspects of chemical engineering, from the fundamentals to details on computer applications and control. Definitive reference for chemical and process engineers. Knovel provides a searchable database of more than 1000 handbooks and reference sources in science and engineering. The online version of the Encyclopedia of Reagents for Organic Synthesis and offers a database of around 50,000 reactions and around 3250 of the most frequently consulted reagents. 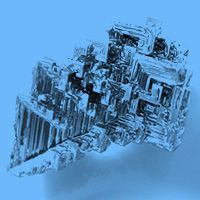 ​DCCC is a carefully edited database containing the 25,000 most frequently cited compounds used by chemists. It contains the top 25,000 most commonly cited compounds in Chemical Abstracts (excluding polymers and biologicals) in Chapman & Hall chemical dictionary format. 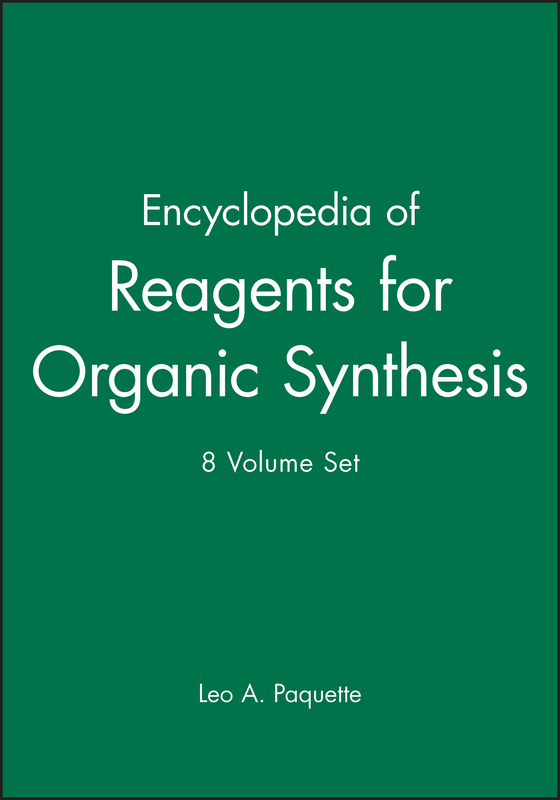 This two-volume work deals with synthetic chemistry in all its forms, applications from life sciences, chemistry and material sciences, all there is to know about compound library design and synthesis, and, of course, the general basics - making it an indispensable reference for synthetic, organic and medicinal chemists, chemical biologists as well as material scientists. This third edition centralizes and integrates information on these chemicals and materials thereby serving as an essential guide to product managers, formulation scientists, quality controllers, ingredient chemists, pharmacists, physicians, and consumers. This book will prove invaluable to scientists, researchers, technologists, and upper-level students who need a comprehensive handbook supportive of colloid and surfactant research, development, and manufacture. This second edition is an update with a considerably expanded and revised scope. Readers will find the latest data on both Plasma CVD and metallo-organic CVD processes in this volume. Likewise, the book explains the growing importance of CVD in production of semiconductor and related applications. Handbook of Hard Coatings offers a complete explanation of commercially oriented deposition technology, from traditional vacuum-based thin-film techniques such as evaporation, sputter deposition, and chemical vapor deposition, to various thermal spraying methods. The Handbook of Hydrothermal Technology brings together the latest techniques in this rapidly advancing field in one exceptionally useful, long-needed volume. This new second edition traces the technology behind the spectacular growth in the silicon semiconductor industry and the continuized trend in miniaturization over the last 20 years. This handbook is a collection of flexural loss, storage moduli and tan delta for over 120 commercial thermoplastics presented in a graphical format with additional tabular information. This handbook presents an extensive compilation of how four sterilization methods, and their assistant media affect the properties and characteristics 69 different plastics and elastomers. Data appear in textual, tabular, and graphical forms. This handbook is a collection of test results for 52 generic families of plastics and the effect of temperature and environmental factors on the materials. Results are presented in a graphical format. This book will be of use to professionals in the chemical processing, plastics, food, pharmaceutical, semiconductor, and pulp and paper industries. Equipment manufacturers, plant operators, and product design and manufacturing engineers will also benefit from the in-depth knowledge provided. This is the first comprehensive handbook written on the subject of antistatic additives for polymers, with 15 newly created interactive tables. The comprehensive analysis of performance of these materials forms a critical source of information for industry, research, academia, and legislature. This is an up-to-date, exhaustive reference of all solids capable of changing the physical and chemical properties of materials. A single volume contains all the fundamentals and the latest advances in fillers technology and the products in which they are used. This second edition is a comprehensive reference for information on chemicals and materials used in packaging. This book is intended to be a source of practical information on all types of plastic foams (cellular plastics) in use, including the new structural plastic foams. Elastomer (rubber-like) foams are also considered. This handbook is the most comprehensive source of current information on plasticizers. Plasticizers are used in so many products that every library should have this reference source of information on plasticizers readily available for its readers. This completely revised edition remains the only comprehensive treatise on polymer coatings for electronics. This book is useful as both a primer and as a handbook for collecting properties data. This handbook is a valuable resource in the design and operation of many polymer processes, such as polymerization, devolatilization, drying, extrusion, and heat exchange. This book covers current knowledge on all aspects of polyester synthesis, structure, properties (chemical, physical and application relevant) and recycling. The most important technical polyesters are presented in detailed chapters, homogeneous polymers as well as copolymers, blends and high-performance reinforced polyester materials are discussed. This book reviews the recent advances and current technologies used to produce microelectronic and optoelectronic devices from compound semiconductors. This book is an up-to-date summary of the science, technology and manufacturing of semiconductor silicon materials. This book provides a comprehensive review of the primary industrial hygiene topics relevant to semiconductor processing: chemical and physical agents, and ventilation systems. Scientists and engineers specializing in the physics/chemistry of heterogeneous and heterogeneous-homogeneous processes and design of semiconductor chemical sensors will find the book of significant value. As the most up-to-date resource on biodiesel available, The Biodiesel Handbook is a necessary book for people interested in the legislative, chemical, and engineering issues that result from the study of biodiesel. Provides the synthetic chemist with a convenient compendium of information concentrating on the most important and frequently employed reagents for the oxidation and reduction of organic compounds. This book is a comprehensive and extensive textual analysis of the principles of solvent selection and use. It is a balanced presentation of solvent performance, processing characteristics, and environment and health issues. This revised and enlarged version has been compiled to contain tabulation according to absorption maxima. This is a compendium of over 1600 methods taken from technical periodicals published. Many of the methods are detailed enough to enable an analyst to perform the tests without reference to the original literature. This multi-authored handbook is a unique cross-industry resource for formulators and compounders, and an invaluable reference for the producers of formulated commodities and industrial minerals. This handbook provides ready information on the fire and chemical reactivity of commonly used chemicals written for chemical handling specialists, first responders to hazardous materials incidents, and firefighters. Provides guidance on the movement of hazardous materials, including sections on material safety data sheets, chemical registration, product labeling, transport requirements, and occupational exposure limits. This Guidelines offers a cogent, well-illustrated approach to completing and applying quantitative risk-analysis techniques to study, measure, and moderate the magnitude of acute risks of a chemical process. This handbook has been designed to provide an in-depth review of, and to act as a source for, the major elements of a hazardous label communication program - to serve the needs of labor, industry, and the public. This handbook has been prepared as a working reference for the safety officer, the environmental engineer and the consultant. This publication is intended as a general engineering handbook and reference guideline for those personnel involved with fire and explosion protection aspects of critical hydrocarbon facilities. This book provides chemical specific information pertinent to safe handling and transportation of chemicals, worker protection, emergency response information to address spills, explosions on fire situations, and chemical stability/reactivity data. 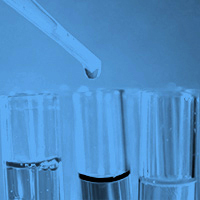 Provides rapid ready-reference to help in the often complex task of handling, using and disposing of chemicals safely. Recently updated with two new interactive tables containing Physical Properties, Health and Safety Information, Synonyms, and Manufacturer data for 673 agricultural chemicals and pesticides. This handbook will be of interest to professionals in the pharmaceutical, cosmetics, and personal care industries that use agricultural products as ingredients. This Handbook is designed to serve as a starting point and guideline in the decision-making process of chemical and material selection. 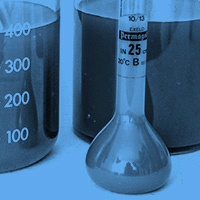 The chemicals and materials included are used in every aspect of the chemical industry. Anyone needing a broad, well-referenced review with a lot of discussion of real products will find this a valuable resource. This handbook provides an overview of current global regulatory requirements and the application of various analytical technologies (chromatographic and non-chromatographic) to residue analysis. This book will be an essential addition to the libraries of professionals and academics in the environmental sciences, and a valuable source book for university and technical libraries throughout the world. 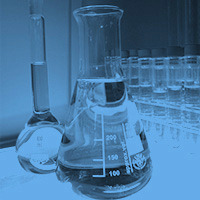 Lists chemicals along with the numerous technologies, many of which are patented, or trademarked techniques, to remediate them. A short description of each technology is provided along with references. * Covers the most important chemicals found to pollute the environment, and ways to remediate them. * Gives succinct abstracts describing numerous technologies used to clean-up a wide range of pollutants. * Provides the uses and limitations of each technique. This book written from a practical and operating viewpoint, will assist development, design, engineering and production personnel in the fermentation industry. It is illustrated with numerous figures, photographs and schematic diagrams. This book is the latest edition of the most complete handbook for chemical and process engineers.